Intricately decorated with the traditional rug with tassels, a carrier, a headdress and foot accents with rhinestones, in a vibrant array of green, cranberry, and gold. Gift box is 3 1/2 x 2 3/4 x 2. 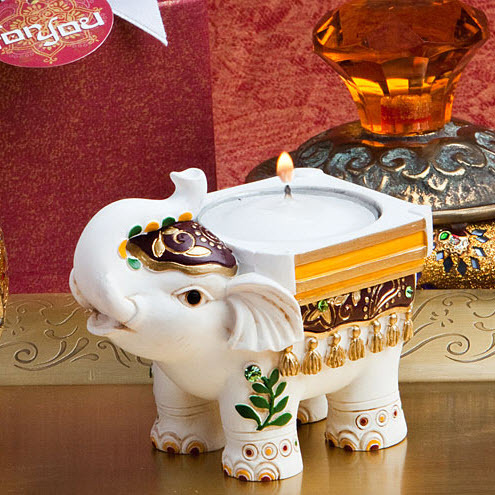 A great choice as traditional Indian wedding favors and as good luck favors for all occasions. Packaged in a cranberry colored box with gold accents in an Indian-inspired design, tied with a white satin ribbon and an attached matching design "For You" tag.